Are OPEC Countries Creditworthy At $50 Crude? As the December 4, 2015 OPEC meeting in Vienna approaches, all eyes are on Saudi Arabia and its Gulf Arab allies in OPEC—Kuwait, United Arab Emirates, and Qatar—and their decisions on crude output levels. Will these four influential crude producers or won’t they, governments, energy companies, and industry observers worldwide ask, accede to the wishes of their fellow OPEC members and proactively rebalance the global crude market to save their fellow OPEC members’ faltering economies and energy industries? Are governments, energy companies, and industry observers asking the right question? Probably not: these four influential OPEC members should be worrying about their own economies and energy industries. Why Should We Cut Production? Saudi Arabia, the UAE, Kuwait, and Qatar assert they need not alter their course from the pursuit for market share Saudi Oil Minister Ali al-Naimi announced at the November 27, 2014 OPEC meeting. 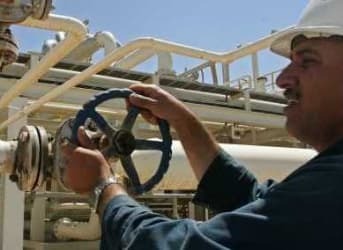 They believe it is up to other producers to make the cuts in production to rebalance the global crude market. In their view, their low production costs permit positive returns at prices the high cost producer cannot afford. As UAE Energy Minister Suhail al Mazrouei put it at a November 9 at an energy conference meeting in Qatar, low cost producers should not subsidize higher cost producers and allow them to continue to produce. They also believe their economies are coping with the fall-out from the pursuit of market shares. Saudi Oil Vice Minister Prince Abdulaziz bin Salman at the same November 9 meeting dismissed IMF Managing Director Christine Lagarde’s warning that the fiscal and current account balances of these four countries and their fellow members in the Gulf Cooperation Council were deteriorating “sharply” and that the GCC countries’ would run a collective 12.7 percent fiscal deficit in 2015. Moreover, they apparently anticipate economy-and-industry-saving price increases will arrive in time to save their economies and industries from substantial and permanent damage. At the Qatar conference, al Mazrouei predicted that crude prices would begin to improve in 2016 as the global crude market rebalances. For his part, Salman asserted that a prolonged period of low prices ultimately will lead to a spike in prices. They see their substantial sovereign wealth funds and foreign exchange reserves as a competitive advantage over their higher-cost and/or penurious competitors in the global struggle for market share. Mohammad al-Sabban, former senior adviser to the Saudi oil minister is one of the many observers who have asserted that Saudi financial reserves are sufficient to endure a prolonged period of lower prices. Are low production costs necessarily decisive? Not really. Venezuela, the country with the world’s largest crude reserves (298.4 billion barrels) and production costs at $11.90/barrel, is now teetering on the brink of insolvency and humanitarian disaster. Are plush sovereign wealth funds and foreign exchange reserves automatic? Energy exports revenues thus are the primary external source of funding for these countries’ sovereign wealth funds and foreign exchange reserves (the dividends, interest, and capital gains they generate are another important source). However, these can only play this role if energy export revenues exceed the cost of imported goods and services (a positive current account balance) and government spending (a budget surplus situation). These two projects undoubtedly are just the beginning. The four countries energy industries are just one of the claimants on energy industry revenue—and not the most influential one. The other claimants include the citizenry in general (employment, subsidies, and benefits), government workers, national defense and the military, infrastructure projects, and non-petroleum industries to name just a few. For example, post-the Arab Spring, these governments are focused on social stability and social stability requires full employment for their nationals. Since most employed citizens in these countries are employed in government and government-related institutions (approx. 84 percent in Kuwait, approx. 75 percent in Saudi Arabia), reducing government headcounts and compensation and benefits for government employees is politically toxic. Just discussing reducing headcount in government and government-related agencies is taboo, as a November 10 Wall Street Journal article details. Subsidies are another example of the power non-crude production interests exert. At the end of October, Saudi Oil Minister al-Naimi announced that the government was considering eliminating energy subsidies (on which the government currently spends $86 billion). A week later, al-Naimi reversed course, saying that Saudi Arabia didn’t have to reduce its substantial domestic energy subsidies, since such actions are necessary “when you are in dire need, and fortunately Saudi Arabia isn't today in such dire need”. (The same happened in Oman, Saudi Arabia’s non-OPEC neighbor. In October, a Finance Ministry official told a Gulf News that fuel subsidies would be cut, but gradually, despite the opposition to the move from business and government officials. Oman has no plans to cut fuel subsidy, as Darwish Bin Esmail Al Beloushi, Oman’s Minister Responsible for Financial Affairs affirmed. Readers can draw their own conclusions on how much these four governments will cut investment in their energy industries to appease other interests. Recently, Saudi Oil Minister al-Naimi’s said that “Arab nations need $700 billion of energy investments over the next 10 years”. Just these three domestic non-energy industry priorities in 2015 would consume all Saudi crude export revenues at $60 per barrel (and prices well above $60), UAE crude export revenues below approx. $57.50, and comprise about 50 percent of Qatar’s crude oil export revenues. This would leave little or no funds for their energy industries—or for their ambitious non-oil infrastructure plans. (Export volume is a rough estimate. The crude export revenues are net of production costs—Saudi $5.00 per barrel, UAE, $5.90, Kuwait, $4.40, and Qatar, $15.00). In other words, the oil industries in each of these countries face tough competition with other priorities for domestic funding for investment in their industry should the era of low crude prices prove to be prolonged. If Crude Is Lower for Longer, Are Saudi Arabia, UAE, Kuwait, and Qatar Creditworthy? Yes, but such alternatives could face significant hurdles. Their financial wherewithal already is under scrutiny. IMF Managing Director Lagarde’s warning cited in the beginning of this article raises a red flag. S&P’s decision to lower its rating on Saudi domestic and international sovereign debt and warning that an additional credit rating downgrade is possible are additional red flags. In addition, the Saudis, UAE, Kuwaitis, and Qataris have yet to prove that the market share strategy inevitably will lead to output cuts sufficient in size to raise crude prices significantly, that these reductions will take place in a reasonable timeframe, and that such reductions will be permanent. In ceding “swing producer” status to U.S. shale, they are admitting their decision to cut output no longer necessarily will be decisive in determining how high and at what speed crude prices will rise. In the U.S., production has declined from its mid-year peak, but this in part is due to producer decisions to drill but not complete thousands of wells until prices have risen. Also, it is yet unknown whether low prices will dent production from stripper wells, which represent about 10 percent of total U.S. output. Also, reduced capital has not stopped Russian output from increasing in 2015, as Russian producers have focused investment on increasing output from existing reservoirs and capturing a greater percentage of NGL’s. Another consideration lenders and potential partners should bear in mind is that prioritizing revenue over market share is not set in stone for these countries. Al-Naimi’s announcement in November 2014’s OPEC meeting and UAE, Kuwaiti, and Qatari support for the policy change demonstrate the four countries are willing to pursue strategies to the detriment of (more) revenue. What, potential lenders and partners should ask is: what deters these countries in the future from actions that undermine their ability to pay interest and repay their debts. Finally, the cumulative negative impact over the past year of the Saudi, UAE, Kuwaiti, and Qatari decision to pursue market share has undercut confidence in their ability to maintain their currencies’ pegged to the US$ (Saudi Arabia, UAE, and Qatar) or a basket of currencies (Kuwait). In August, after the PRC’s Central Bank devalued the Yuan around 2 percent against the US$, speculation against these four currencies intensified (as further Yuan devaluation would put their exports at a competitive disadvantage). Now, Bank of America analysts, in a November 19 report, described breaking the Saudi/US$ peg as their “number one black-swan event for the global oil market in 2016, a highly unlikely but highly impactful risk”. Of course, the impact would not be limited to the global oil market, but reverberate negatively throughout the four countries’ economies and energy industries. As the Bank of America analysts said, “It is a lot easier politically to implement a modest supply cut at first than allow for a full-blown currency devaluation." …And a lot easier on economies and oil industries. Can We Blame Hedge Funds For Low Oil Prices? "Venezuela, the country with the world’s largest crude reserves (298.4 billion barrels) and production costs at $11.90/barrel, is now teetering on the brink of insolvency and humanitarian disaster." That's more due to Venezuela's attempt to protect the bolivar, combined with sustained internal sabotage by the country's right wing and external sabotage by the USA. Of course, corruption and incompetence contribute to the country's woes.